The built-in Sony IMX323 CMOS image sensor provides crisp, smooth and wide footage, day or night. The dash cam streams live video to the Nexar app. The app works in the background so you can use other apps while driving. The app supports iOS and Android devices. Nexar uses AI algorithms and internal G-force sensors to automatically capture dangerous incidents like hard breaks, sharp turns, and fast accelerations. Nexar’s 1-Click Report™ saves you time, money and unnecessary stress when dealing with insurance claims. Easily concealable behind the rearview mirror. Yes, the app works in the background so you can use your phone for other driving apps, like navigation. Can I use other apps while driving with Nexar? Nope! Nexar uses a minimal amount of your data plan to upload 40 second clips of dangerous events (like hard brakes or collisions) that the app detects and records automatically. Will using the app drain my data plan? No, in order to have instant video evidence after collisions or driving events, the dash cam records outside of your vehicle. The dash cam does record audio from inside the car, which is saved on the provided SD card (but audio is not backed up to the cloud). Stay tuned though, we’ll be releasing a dual camera soon. Does the dash cam record inside my car? Yes. 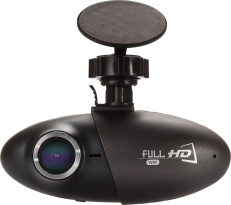 Your entire drive is recorded and the last 4 hours of all drives are saved to the dash cam’s SD memory card. After 4 hours, drives are overwritten by newer ones. Drives are also saved on your phone, based on its available storage space. Does the dash cam record entire drives? Does the dash cam save entire drives to my phone? The Nexar app saves as many drives as your phone’s storage space allows. By default, the app uses up to 50% of your phone’s available storage. When the storage is full, the app will automatically replace old drives with newer ones. Important incidents that occurred during your drives (like collisions or hard brakes) will automatically be converted to short clips that stay in the app and won’t be overwritten. 1. Clear up your phone’s storage space on a regular basis. Are all recorded drives uploaded to the cloud? No, only automatically identified incidents that occur during your drive (collisions, hard brakes, etc) and manually created clips are uploaded to the cloud.